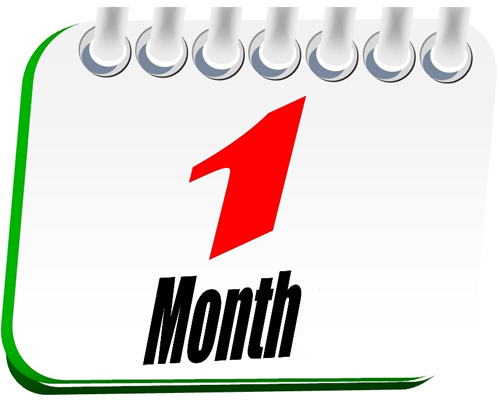 One month to go for BITSAT 2019: Top tips to help you score big! Now that BITSAT is just a month away, the stress level is at an all-time high. Students are busy trying to complete their syllabus of BITSAT 2019. BITS Pilani entrance exam is undoubtedly one of the most challenging national engineering exams in the world. The last month is the most crucial period of preparation. Majority of the aspirants are perplexed regarding what is to be done, how to make the best possible utilization of this time etc. You final scores depend on the productivity of these last days to a large extent. Hence, it’s time to steer your focus on something beyond preparation. Since BITSAT has five sections, one each on Physics, Chemistry, Mathematics, Logical Reasoning & English Proficiency, so it is important to focus on each head. Students tend to focus on the three subjects and ignore the ones on aptitude and language. Though these sections carry less weightage as compared to the subjects, but are easy to score. Hence, they should not be ignored. First of all, since the syllabus is quite vast, you are likely to be left with some portion. Try to figure out whether that portion will fetch you some questions in the exam or is it really important. If yes, then go ahead and cover it else move towards revision. Before beginning with revision, chalk out a plan considering the topics to be covered and the time left. The topics that carry good weightage in the exam must be revised first. BITSAT is completely based on the NCERT syllabus. Hence, focus on NCERT books. You may switch to other reference books once you are done with NCERTs. Honing your skills in the basic concepts is of utmost importance. It is vital to go into the intricacies of a topic so that you are competent to handle any kind of questions based on it in the exam. Focus equally on all the five sections but strengthen your strongest domain as it can help you fetch maximum marks. Try to opt for shortcuts as it is important to have a good speed in the exam. It is important to memorize the diagrams, facts and formulae as at times you can be lucky to get some direct questions based on the application of some formulae. Practice is the only mantra to success. Solve as many questions as possible but without using calculators. This will also help in improving speed. Attempt various sample papers and mock tests and try to complete them before 3 hours. This will help you in identifying your weaknesses and strengths. Instead of trying to solve the question, try to eliminate the options to reach the solution. This is the best approach to crack such entrances. Refer good quality study material for the sections of Logical Reasoning as well as English Proficiency. Do not cut down on your social life. Recreation is important to gain the lost energy. Hence plan frequent breaks and do some meditation. Try to solve at least one sample paper daily after revising certain portion of syllabus. After few days, you’ll notice that the time taken to solve one paper will decrease. As you revise, jot down the points which you might forget. Once you are done with your first round of revision, you can again refer these points. As you revise, try to relate the concepts or use some mnemonics to memorize the facts which seem to be arduous. Try to go for second round of revision. These tips are really fruitful and can help you fetch excellent scores!